The death has occurred after a long illness of respected head teacher Pat Forrest, who was 56. She was head for 11 years at Gardenrose Primary in Maybole, a school where she first worked as a student teacher. And Mrs Forrest impressed the community with her dedication to the role, and her commitment to the pupils. A daughter of eminent plastic surgeon Jack Mustardé and his wife Maisie, who live in Alloway, Pat did her teacher-training at Craigie College in Ayr. She taught at Kincaidston Primary in Ayr and at the former Redburn Primary in Irvine. She was also an assistant head at Glebe Primary in Irvine, immediately before taking up her post at Gardenrose. 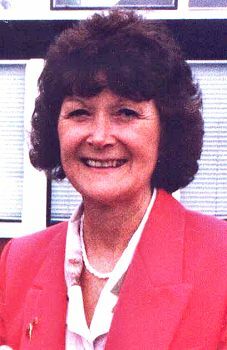 So highly was she regarded at the Maybole school, that a new playground garden was last year named ‘The Forrest Garden’ in her honour. Minishant Primary head teacher Val Freeman was Mrs Forrest’s depute during her whole time at Gardenrose. Mrs Freeman said: “Pat Forrest was a very dedicated lady, and I’m extremely sad at the loss of someone who was a good friend and a totally committed colleague.” South Ayrshire Council’s director of educational services, Mike McCabe, said: “Pat Forrest was a very sensitive, caring and effective head teacher who devoted her life to the children under her care. “She will be sadly missed by everyone in the educational community.” Mrs Forrest’s funeral service was held yesterday (Wednesday) at Ayr Crematorium. And it was conducted by Rev Dave Whiteman of Maybole Old Parish Church, who himself has two children at Gardenrose Primary. Mrs Forrest lived in the countryside near Hollybush, and she is survived husband David, son Nick and daughter Lara, as well as three grand-daughters. From the Ayrshire Post March 14th 2003.